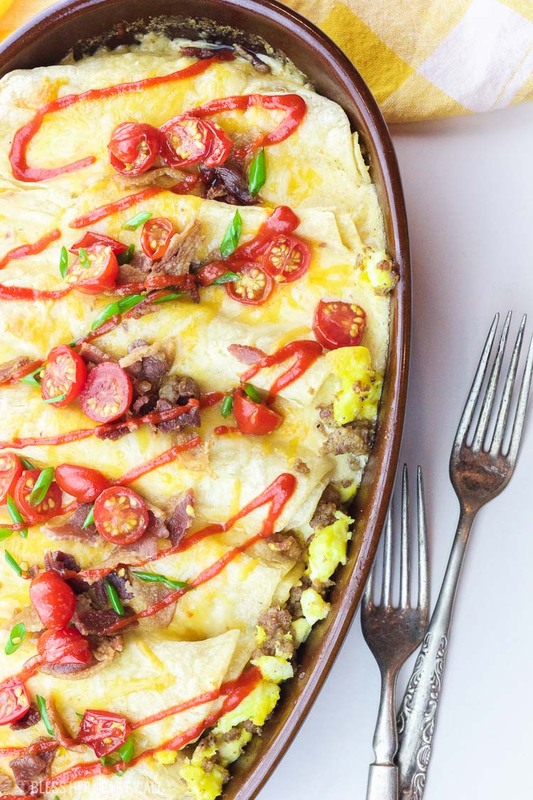 This delicious recipe for gluten-free breakfast enchiladas will wake anyone’s taste buds up for the day! The combination of fluffy eggs and spicy breakfast sausage wrapped in corn tortillas and then topped with a seasoned buttermilk cheese drizzle, baked and then loaded with fresh veggie chunks and bacon crumbles will make anyone’s morning sunny! Do I have your attention yet? 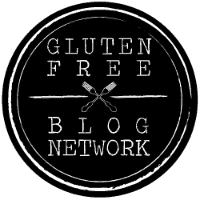 Because when I first posted this gluten-free breakfast enchilada recipe in the making on SnapChat (follow me @J.Trogstad) and Instagram I had a flood of readers who had to have this recipe ASAP…. I mean…. who wouldn’t want to stuff their face with a gluten-free breakfast enchilada? And who wouldn’t want that enchilada smothered in a quick homemade spiced buttermilk cheese drizzle? And who wouldn’t want that cheese drizzle partnered with fresh chunks of tomato, green onion, and bacon? 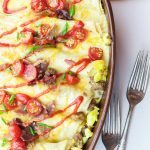 If you want these breakfast enchiladas smothered even more in deliciousness, try adding Gluten Free On A Shoestring’s Enchilada Sauce on top! 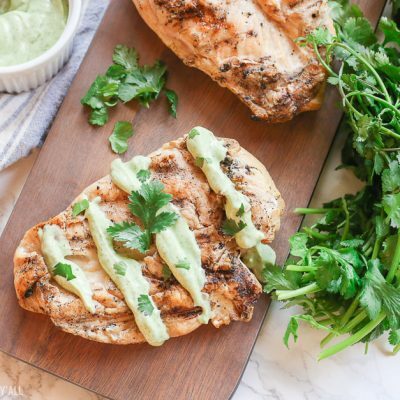 And please add avocado pieces if you have that on hand! You’ll be happy with your decision! I double up on the corn tortillas. Coming straight out of the bag, I find that corn tortillas tend to split and crack when rolled up so I double up on these tortillas to help that from happening. If you like to hit the snooze button like me, I would suggest making the enchilada stuffing (the egg and sausage scramble) the night before and then just stuffing the enchiladas, baking, and making the cheese sauce the morning of. That will save you a bit of time in the morning. This cheese sauce is amazing! The first time I made this recipe I didn’t get the sauce on the middle enchiladas as well as I did the end pieces. 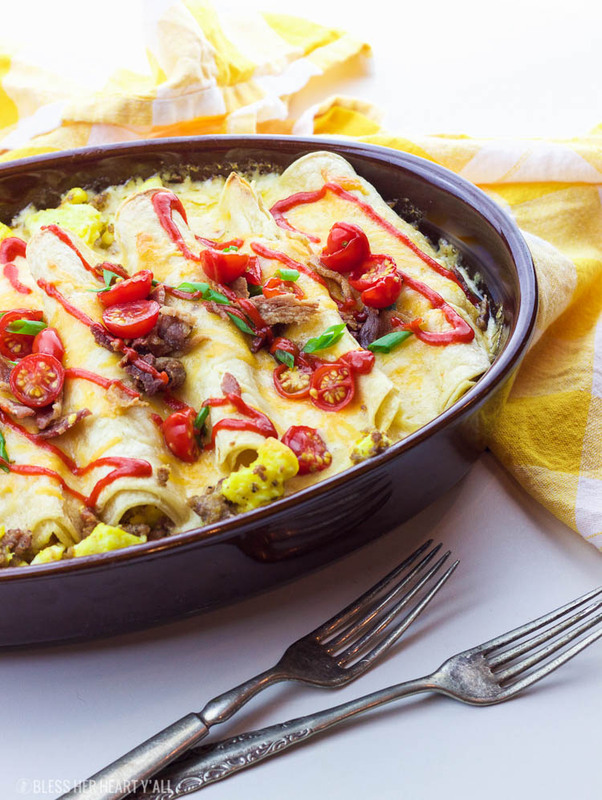 Try and coat the enchiladas with the cheese sauce evenly for maximum flavor! 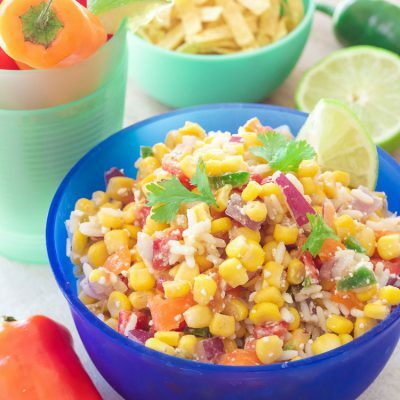 If you have leftovers (we rarely do! ), I would recommend reheating them in the oven at 350*F for a few minutes. What?!? Sleeping in AND homemade breakfast enchiladas?!? Okay! This delicious recipe for gluten-free breakfast enchiladas will wake anyone's taste buds up for the day! 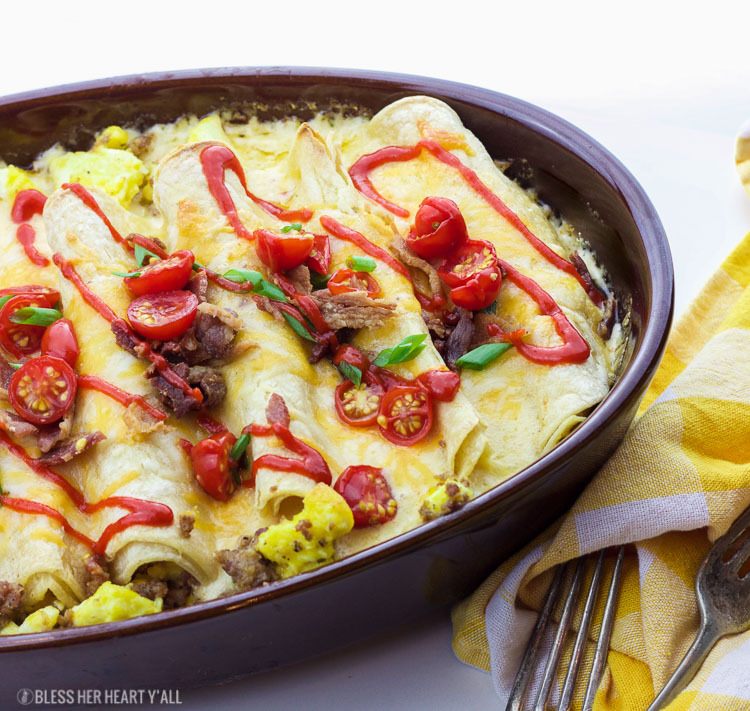 The combination of fluffy eggs and spicy breakfast sausage wrapped in corn tortillas and then topped with a seasoned buttermilk cheese drizzle, baked and then loaded with fresh veggie chunks and bacon crumbles will make anyone's morning sunny! Preheat your oven to 375*F.
Scramble your beaten eggs in a large greased skillet. Set aside in a large bowl. Brown and cook your breakfast sausage over medium in the same large skillet until entirely cooked. Add the sausage to the eggs and mix. While your eggs and sausage are doing their thing, you can make your cheese drizzle! In a medium saucepan, combine the butter, buttermilk, and flour over medium heat and allow to simmer. Once simmering, add in the garlic and onion powders and the red pepper flakes, stirring occasionally until the sauce starts to thicken. Once it starts to thicken add in 3/4 cup of the shredded cheese and continue to stir until smooth. Remove from heat. Wrap the egg and sausage filling into corn tortillas and place them in a large baking dish until the baking dish is full of goodness. Smother the entire dish with the cheese drizzle and sprinkle the last 1/4 cup of shredded cheese on top. Bake for 20-25 minutes or until the tortillas are starting to turn a golden brown around the edges. It's 20 minutes on the dot for my oven. Remove from the oven and top with the GF hot sauce, tomatoes, bacon, green onion, and avocado slices. Serve and devour while still warm from the oven. These go great with gluten free Gluten Free Almond Parmesan Tortilla Wraps! I’m drooling. 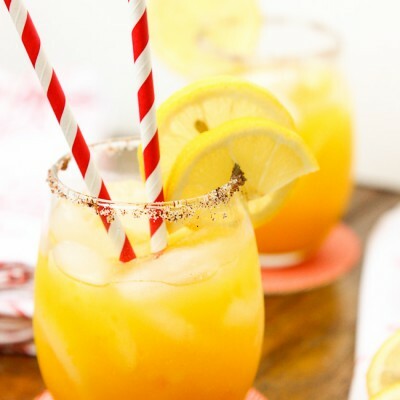 These look absolutely delicious!! Oh! These are the best way to wake up in the morning! TRUST me! These enchiladas looks so gorgeous and delicious. Can;t wait to try them out. Bookmarked! These look Gorgeous & would love to wake up to them for breakfast. I do have all the ingredients at home, so will try soon. 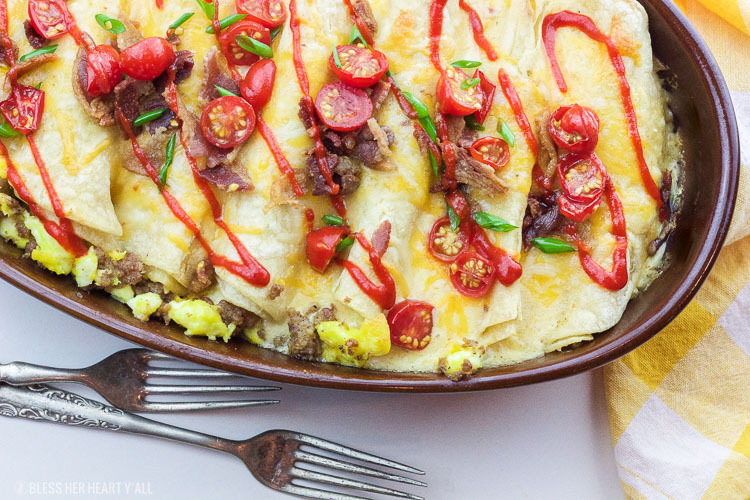 The best mornings are mornings with these breakfast enchiladas. In fact, the Hubster asked for them this morning! I love enchiladas, oh i wish I could have some now. I love the idea for it as breakfast!! and yes avocado slices are must. Yes, the breakfast enchiladas mean that you can now have enchiladas any time of day! Score! Mexican for breakfast? Oh, heck yes. 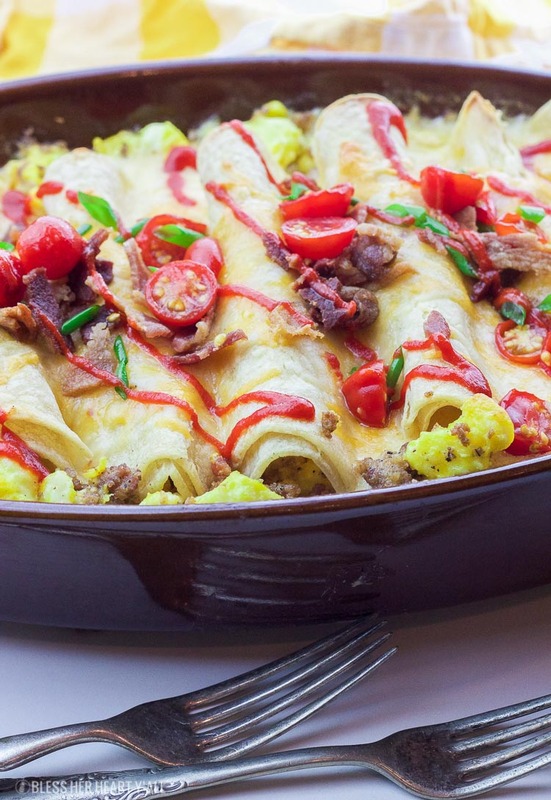 These enchiladas are 100% drool worthy and 100% going on my morning menu. They look amazing!